Now available to the people of Rochester is the professional skill, expertise, and customer friendly nature of Pat LaPage and his team of experts with 911 Restoration Rochester for any and all water damage, sewage backup, mold contamination, fire incident, or disaster related need. Pat and his expert crew know that the best way to mitigate the losses that can be experienced after any sort of disaster is to get to the scene of the event quickly, and with the best tools of the trade at his side. To give his customers the most from their restoration experience Pat and his team make sure to arrive within 45 minutes of a call for help. They are also always available 24/7/365 for any kind of emergency at any time no matter how large or small the damages may be. Pat and his team are profoundly dedicated to making life easier for clients in need after a disaster of any kind has happened to their property. To give his customers the most he will even fill out and file all of the insurance paperwork that is usually required in the claims process so that they don’t have too much to take on all at once. Pat always puts the customer first with every aspect of every project that he works on, and he and his team are fundamentally dedicated to professionalism for all services they offer. Always make sure to clean out your gutters at least once every year to prevent buildups that may cause overflows in the summer months, and ice dams or ice falls in the winter months. Check on and replace worn and torn hoses and connectors that link up to your main water line in the home from appliances that have a hook-up. Inspect the piping around your property to ensure that there are no sections with rusting, corrosion, dripping, or especially puddling as these can be signs of a future pipe burst section waiting to happen. Never place anything into the plumbing or septic system that it is not easily capable of eliminating safely. This can include, but is not limited to, multi-ply paper, or products that advertise as biodegradable as well. Point the discharge of your downspouts away from the structure of your building to ensure that the foundation doesn’t experience liquefaction when you least expect it during a major storm event. These are some of the more regular sources and solutions to the world of water damage issues, but there are plenty more ways to keep your property safe from harm in the event of a disaster. Don’t let your property suffer alone through or after the effects of a water damage scenario without first seeking help from the best in the industry. Contact our water damage restoration Rochester team with 911 Restoration Rochester immediately and we can help today! When it comes to training and accreditation, Pat and his team are IICRC certified to take on all manner of projects ranging from a toilet overflow and sewage backups to mold contaminations and fire outbreak incidents. There is no form of disaster that Pat and his crew of specialists don’t know how to specifically handle with all the latest drying technology and the most advanced suction equipment in the industry. Our technicians will even help with all of the insurance paperwork involved in the claims process so that you don’t have too much to stress over all at once. We do this because we truly care about our customers and making sure that they are taken care of. Taking care of the project at hand is only one portion of the job for Pat and his expert team, because they feel that taking care of the customer and giving them back their calm after any event is also a critical portion of the work. 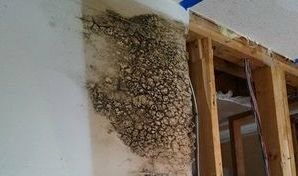 If your home or business location is already suffering from a flooding incident, black water invasion, fungus infestation, fire damage, or catastrophe of any kind, then contact Pat and his water damage restoration Rochester team with 911 Restoration Rochester for help today!